Timothy J. Smith, CLU ChFC | Georgetown Financial Group, Inc.
Tim joined GFG in November of 2012 and today directs GFG’s insurance brokerage operation on a day-to-day basis. Tim is a 1987 graduate of the University of Maryland with a B.S. degree in finance. 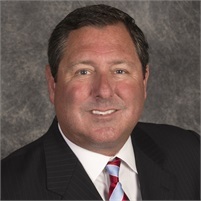 From 1987 until 2005, Tim was a financial services manager and sales vice president for Travelers Insurance Company, overseeing the wholesaling of Travelers life, long term care, and annuity insurance products. In 2006, after Travelers was acquired by MetLife, Tim joined the MetLife home office as a consultant in its Pension Resource Center. Tim has extensive knowledge of the domestic individual life and health insurance marketplace, and has spoken in front of many industry groups, including FPA chapters, CLU societies, and Estate Planning Councils.